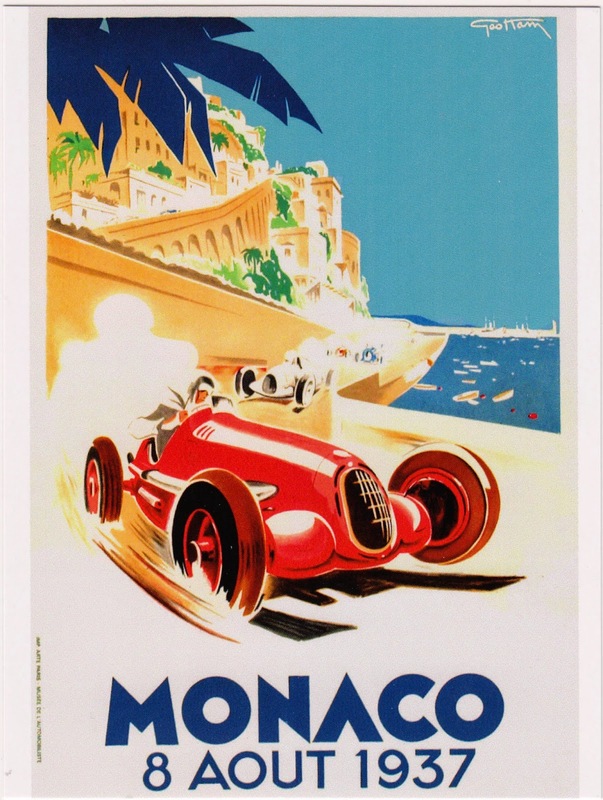 Postcard US-2711140 to Sri Lanka shows a vintage poster from 1937, promoting the Monaco Grand Prix, a Formula One auto race held each year on the Circuit de Monaco. Run since 1929, it is widely considered to be one of the most important and prestigious automobile races in the world. Grand Prix of Monaco 2014 will run from May 22 to May 25. The postcard was purchased at Zazzle.com.